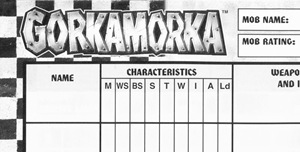 The site has been a little quiet lately due to all of us being a bit swamped with real life things (birthdays, graduations, job hunting, etc..) but here we can bring you a little something, the original roster from the Gorkamorka box set. 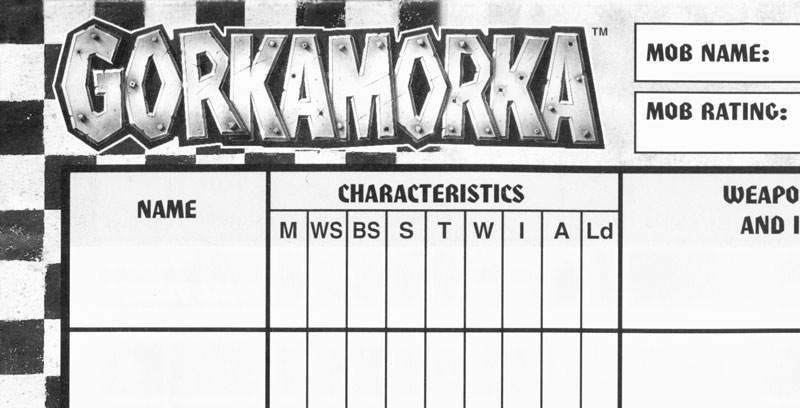 It’s not that different from the many available online, but unlike the ones in the PDFs on the Games Workshop site, the header graphics on this one aren’t broken. These are just for personal use, although it’s difficult to imagine how one would go about selling such a thing. Maybe one day there’ll be shiny new rosters for you to use, but for now hopefully these classic ones will tide you over. This entry was posted on Monday, June 21st, 2010 at 16:31	and is filed under General. You can follow any responses to this entry through the RSS 2.0 feed. You can leave a response, or trackback from your own site.